If liver tumours require treatment, the management options can be surgery, chemotherapy or a combination of both. Despite the fact that surgery provides the best long term survival for most cancerous liver tumours, some are too advanced and can only be treated with systemic chemotherapy. The treatment and management plan for patients with metastatic liver tumours is based on the site of the original primary cancer located elsewhere in the body. Non-cancerous tumours are occasionally considered for surgery, if the patient is symptomatic. A liver resection is the surgical removal of the cancerous or diseased part of the liver. This type of surgery is the most effective treatment for patients with liver metastases from colorectal cancer limited to the liver. 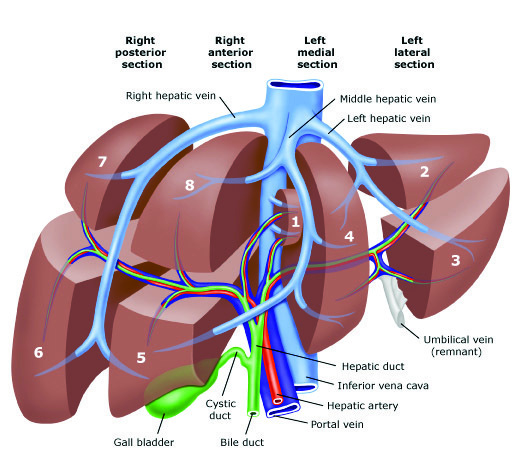 The liver is the only organ in the human body capable of re-growing after being partially removed. Because of this, up to 70-80% of the liver can be surgically removed, preserving enough functioning liver tissue to avoid liver failure, which can be fatal. However, in patients with liver diseases (e.g. cirrhosis or fibrosis), more liver tissue needs to be left inside the patient as these diseases can reduce the functional capacity of the organ. When possible, a liver resection can be performed by laparoscopic (keyhole) surgery which is a minimallyinvasive form of surgery that can potentially reduce patient recovery time compared with traditional surgery. Liver surgery is a major operation that should be undertaken by an experienced surgeon. Mortality rates vary from 0.7-2.25% and can be higher in patients who have complications or existing liver disease. 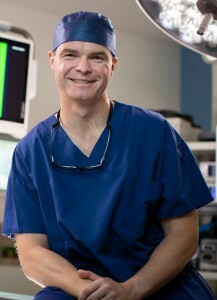 Dr Harald Puhalla is a General Surgeon with a private practice at Gold Coast Private Hospital and Pindara Private Hospital, Gold Cost Queensland.